Hockey Plumber: Pittsburgh Penguins Marc-André Fleury: How Ya Like Me Now? Pittsburgh Penguins Marc-André Fleury: How Ya Like Me Now? 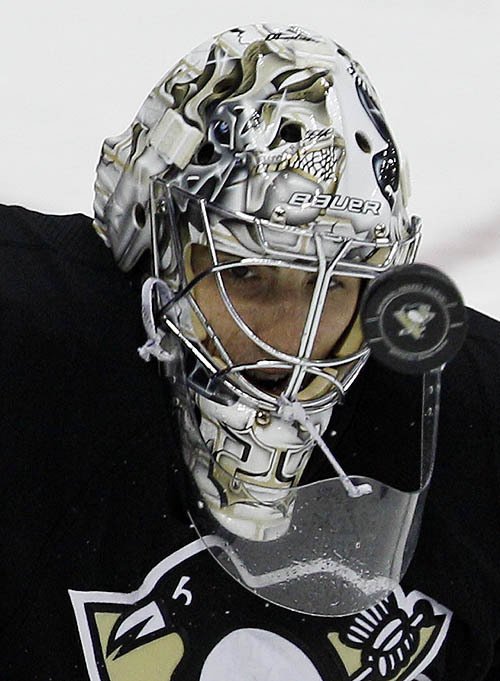 A few weeks ago we asked the question: "What Is Wrong With Marc-André Fleury?" After reviewing his play and watching video of the goals against, our answer to the question posed was: "Nothing... It's just hockey. Sometimes you get the bounces... sometimes they get you." Well, it doesn't happen often, but it seems that we were correct. As you might have already guessed, the gloating will now commence. In all seriousness, Fleury's atrocious start has been followed up with some very solid play and a touch of brilliance here and there. The credit for the turnaround doesn't belong to us, it belongs to Fleury. After a dismal start, Dave Molinari of the Pittsburgh Post-Gazette wrote about his struggles "with goals and confidence". Fleury is 1-6, owns a goals-against average of 3.55 that places him 36th in a 30-team league and a save percentage of .853 that is the worst in the NHL. There's no disputing those figures, or what they say about Fleury's performance in his first eight appearances this season. Since then, Fleury has posted an 8-0-1 record, with a GAA south of 1.70, and a save percentage in the .950 area. The "Flower" is blossoming. Anyone calling for Brent Johnson now? Not so much. So what's the secret? 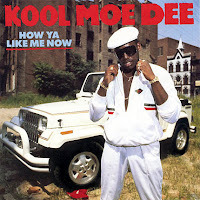 A double dose of The Heavy and Kool Moe Dee? Has he just had a nice run against inferior competition? Consider that he has beaten the likes of Henrik Lundqvist, Tomas Vokoun and Roberto Luongo along the way, and had to win a few one-goal games, including a shutout in Buffalo, it stands to reason that Fleury has had great focus against other high caliber goaltenders. Note that during this streak, MAF has enjoyed the benefit of excellent team defense, and consistent offensive support. The Penguins have a 9-0-1 record over their last ten games. They have outscored opponents by a margin of 31-16, have had decent success on the power play; and are nearly perfect on the PK. So when we say the credit belongs to Fleury, we mean the Penguins as a team as well. What is he doing differently? It's been recognized that Fleury has tried to keep himself in better position by cutting down on his attempts to poke check the puck. THAT, combined with diligent team defense equals increased confidence and certainly, positive results. In the end Fleury is just playing a well-rounded game and getting the bounces. Pucks that eluded him before seem to find him. It's still the same game of hockey, he just looks better doing it now.